All of us have been taught the importance of being personally responsible and accountable for our actions. This week, the U.S. House of Representatives will vote on Bills that will make it more difficult, if not impossible, for citizens harmed by the wrongdoing of others to seek justice in our nation’s courts. Congress is proposing legislation that will make lawsuits brought by injured patients, nursing home residents, and their families nearly impossible to pursue. This so-called “Protecting Access to Care Act of 2017” (Bill H.R. 1215) will rig the system against individuals and tip the scales in favor of doctors, hospitals, nursing homes and their insurance companies. These bills seek to prevent medical care providers who commit negligence from being held accountable for the injuries and damages they cause. Instead of protecting our most vulnerable citizens, such as nursing home residents, Congress is attempting to enact laws that will benefit only the corporations that run nursing homes and the companies that insure them. A law designed to protect doctors, hospitals, nursing homes, and medical device manufacturers by limiting compensation for injuries caused by their negligence to $250,000, regardless of how egregious their conduct was or how much the injury has devastated a victim’s life. The Australian Therapeutic Goods Administration (TGA), similar to the United States Food and Drug Administration (FDA), issued a Hazard Alert on September 27, 2016 for Stryker LFIT Anatomic CoCr V40 femoral heads. The LFIT V40 is a femoral head that orthopedic surgeons utilized in hip replacement surgeries. The Stryker LFIT V40 can be used interchangeably with Stryker’s entire product line of modular total hip replacement devices and is designed to offer a large range of offsets based on a patients’ needs. According to the Australian TGA, some LFIT Anatomic CoCr V40 femoral heads have a “higher than expected incidence of taper lock failures.” The taper lock connects the femoral head and femoral neck of the hip prosthesis. If the taper lock fails, the patient can suffer severe complications including catastrophic disassociation and metallosis, resulting in the need for emergent revision surgery. These conditions can lead to the destruction of tissue in the area of the implant, causing all sorts of complications. Stryker has recently notified orthopedic surgeons who have implanted the LFIT V40 of the increased incidence of taper lock failure and ensuing complications. The Defective Medical Product attorneys at Suthers Law Firm are investigating the Stryker LFIT CoCr V40 femoral head cases on behalf of patients who were implanted with these devices and have suffered complications. These attorneys previously prosecuted cases successfully against Stryker on behalf of many patients who were surgically implanted with Stryker Rejuvenate hip replacement products, which products were recalled by the FDA because of similar complications. After DePuy Orthopaedics, a subsidiary of Johnson & Johnson, recalled two models of its metal-on-metal hip replacement products in August of 2010, thousands of lawsuits were filed against the product manufacturer. DePuy Orthopaedics recalled its ASR Acetabular System and the ASR Hip Resurfacing System after reports of high rates of failures by the products, leading to the patients needing revision (removal) surgery. Similarly, Stryker Orthopaedics recalled in July of 2012 its Rejuvenate and ABG II hip implant products after multiple reports of produ ct failures due to heavy metal fretting and corrosion. Thousands of lawsuits were also filed against Stryker thereafter. There were essentially two classes of victims involved in the litigation. The majority of the lawsuits were filed on behalf of individuals who had suffered injuries, including loosening or instability in the hip joint, dislocations, difficulty walking and moving the hip properly, pain, inflammation or swelling in the area of the hip implant, tissue destruction or tissue necrosis, and elevated levels of cobalt and chromium in the bloodstream, a condition known as metallosis. These individuals had to undergo revision surgery or surgeries during which the metal-on-metal hip implant was removed and replaced with a more traditional hip replacement product that utilized a metal femoral head with a plastic liner in the cup. Many of the lawsuits that were filed on behalf of individuals who had already undergone revision surgery or surgeries have settled. A substantial number of lawsuits remain pending on behalf of individuals who were surgically implanted with these defective hip products, but who have not yet undergone revision surgery. These individuals have not yet had revision surgery because the injuries and problems resulting from metal-on-metal have not yet manifested themselves, or the patients have symptoms or problems, but their physicians have not yet recommended revision surgery. 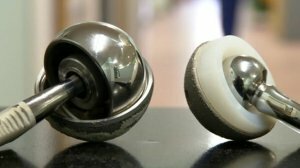 One of many problems associated with metal-on-metal hip replacement products was the corrosion or fretting caused by the metal femoral head (ball) rubbing against the metal cup. The constant rubbing of the two metal surfaces caused scratching or corrosion of the femoral head, acetabular liner, and/or the metal cup. This resulted in metal debris or particles known as ions getting into the bloodstream and adjacent tissues, contributing to implant failure and tissue destruction. The metal components of the hip replacement products contain cobalt and chromium. 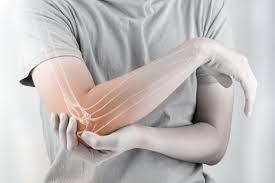 When metal ions containing cobalt and/or chromium are released into the bloodstream or adjacent tissue, these particles are toxic to soft tissue, bone and muscle. In essence, this poisons the hip joint. The term “metallosis” has been used to describe excess levels of cobalt and/or chromium in a victim’s bloodstream. Surgeons who have removed the defective hips have seen and documented the extensive tissue destruction and necrosis surrounding the hip implant area. According to new research out this month, a popular group of medications used to treat heartburn, gastroesophageal reflux disease (GERD), stomach ulcers and irritation of the esophagus caused by acid reflux could increase the user’s risk of developing kidney disease and kidney failure. The drugs are known as proton pump inhibitors (PPI), and are marketed and sold under well-known names such as Nexium, Prilosec and Prevacid. Proton pump inhibitors work by blocking the production of stomach acid. The new study published by the American Society of Nephrology linked these popular stomach acid medications to an increased risk developing chronic kidney disease. The study utilized data from the United States Department of Veterans Affairs. Researchers discovered that individuals who took PPIs had a 96% increased risk of developing kidney failure. 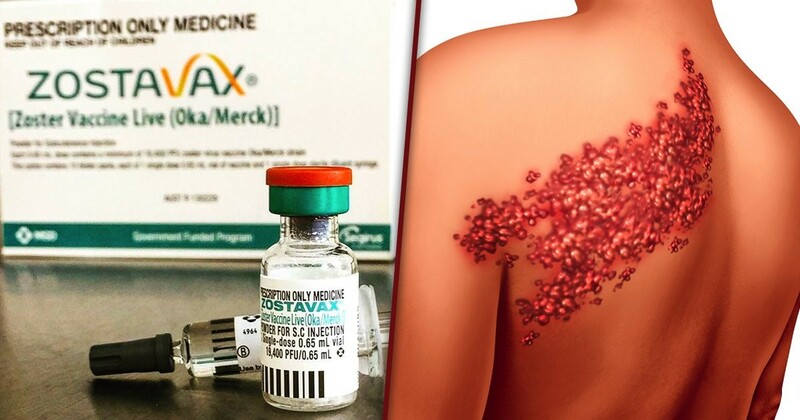 The study also concluded that such individuals had a 28% increased risk of developing chronic kidney disease compared to patients who took other medications, such as histamine H2 receptor blockers, instead to treat problems associated with stomach acid. The study also concluded that individuals who took PPIs for a longer time period were more likely to develop kidney problems. It is estimated that in America alone, 15 million people take prescription proton pump inhibitors. However, that number is likely underestimated since a number of these medications are now available over-the-counter. Thousands of lawsuits have been filed over the past six years against various manufacturers of surgical mesh products used to treat conditions such as pelvic organ prolapse and stress urinary incontinence in women. These lawsuits challenged the safety and effectiveness of these products, after years of reports of women experiencing pain, bleeding, infection and other complications caused by the mesh implants. Often, the complications resulted in women having to undergo multiple surgeries to repair or remove the mesh product. 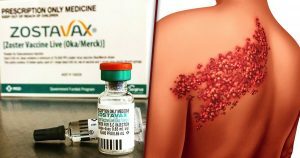 Now, the United States Food & Drug Administration (FDA) is finally getting on board with those of us who have been stating for years that these products are neither safe nor effective. This week, the FDA took a stronger stand against the use of surgical mesh products to repair POP in women, classifying transvaginal mesh products as “high-risk” medical products and subjecting them to additional regulatory scrutiny. Previously, these products were considered “moderate-risk” products. 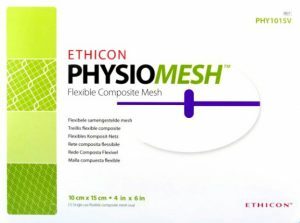 Now, the manufacturers of pelvic mesh products will have to submit new applications to the FDA, demonstrating both the safety and effectiveness of these mesh devices.